On my recent Pacific Northwest (PNW) road trip, my husband and I drove from Seattle, out to Cape Flattery in Neah Bay – the most northwesternmost section of the continental US – and through a slew of beautiful Washington state national parks and monuments (Olympic, Mt. Rainer, Mt. St. Helens). We eventually ended up heading into Oregon and ended our trip in the wonderful city of Portland. 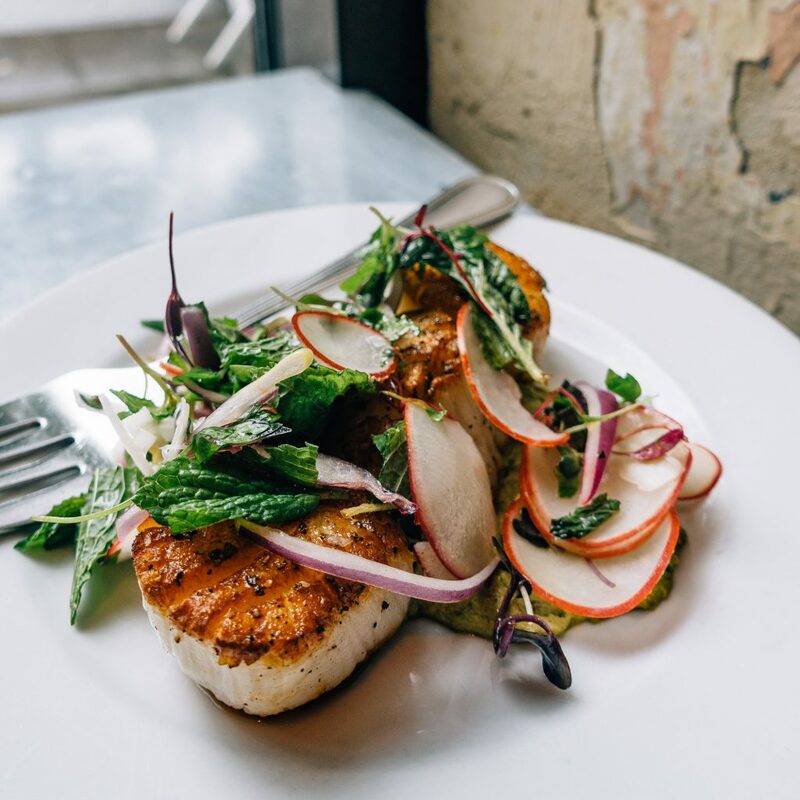 I completely fell in love with the city’s quirky, vibrant neighborhoods and casual vibe and became completely enamored with their spectacular food scene. 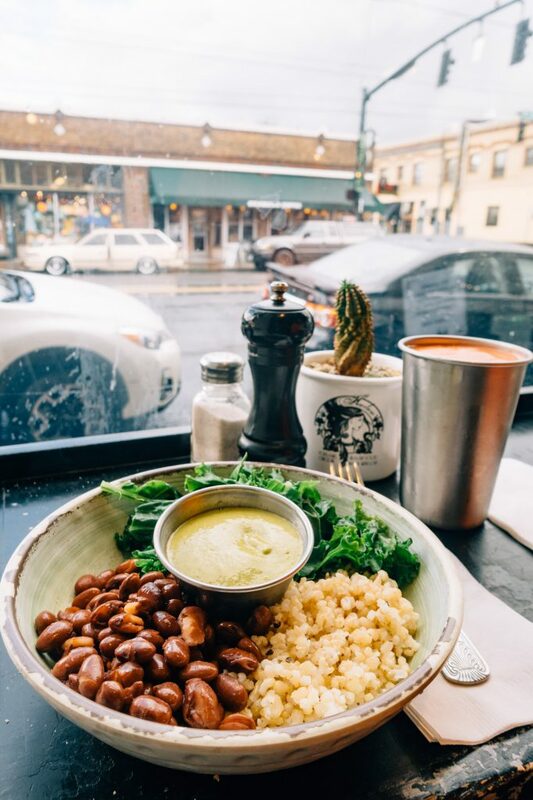 PDX has it going on when it comes to absolutely delicious food! 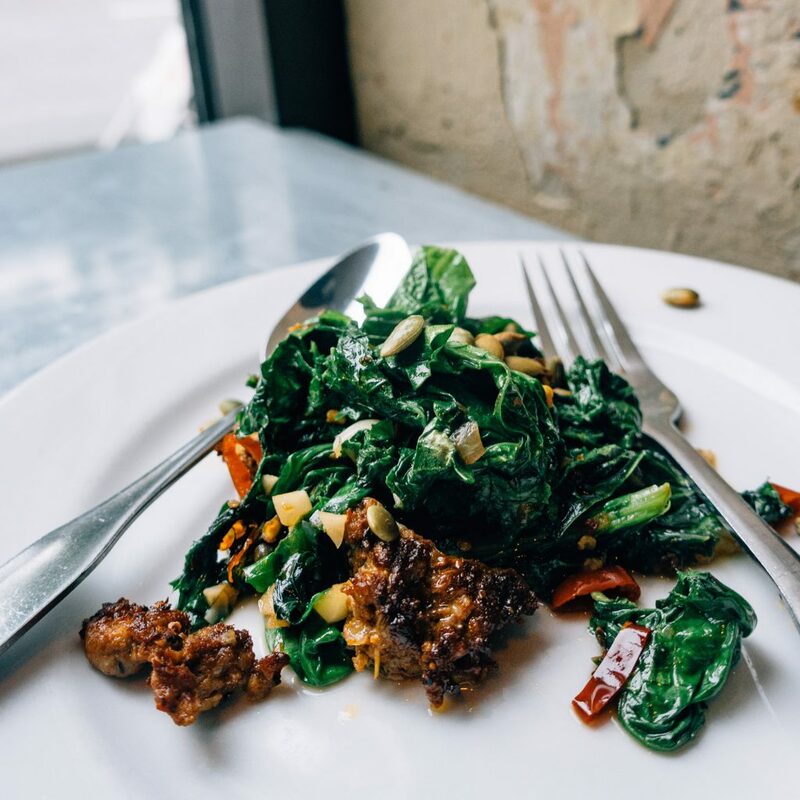 Here are my recommendations for the best restaurants for foodies visiting Portland, the City of Roses. 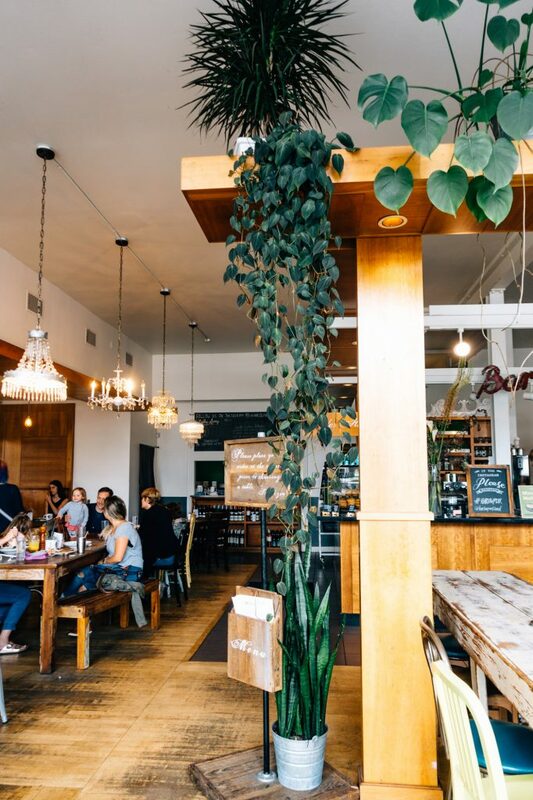 We stayed in the awesome Kerns neighborhood, so many of the restaurants I fell in love with were on the east side of the Willamette River. 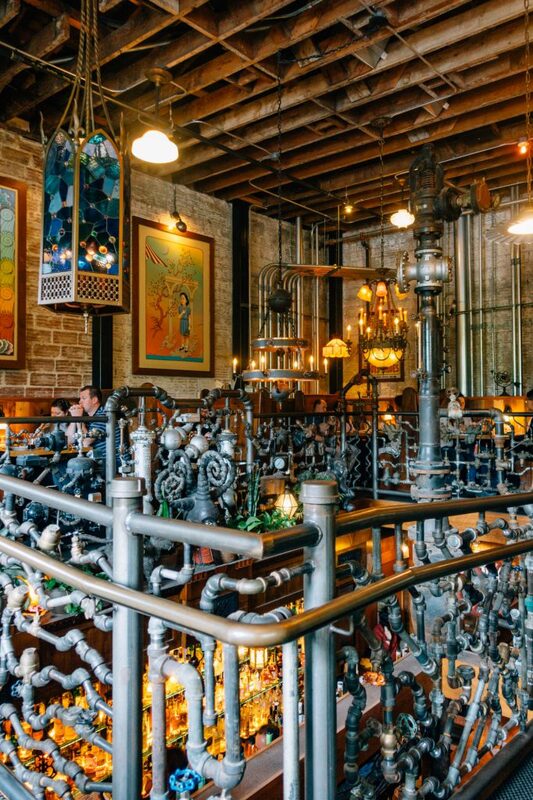 As a foodie, it’s really tempting to always eat at the most decadent-looking places for a meal when you are visiting a new city or town. But let’s be honest, there’s only so much greasy, fatty, artery-clogging food a girl can eat before her digestive system stages a revolt. That’s why I’ve learned to seek out light, healthy meals when possible, and breakfast is a prime candidate. 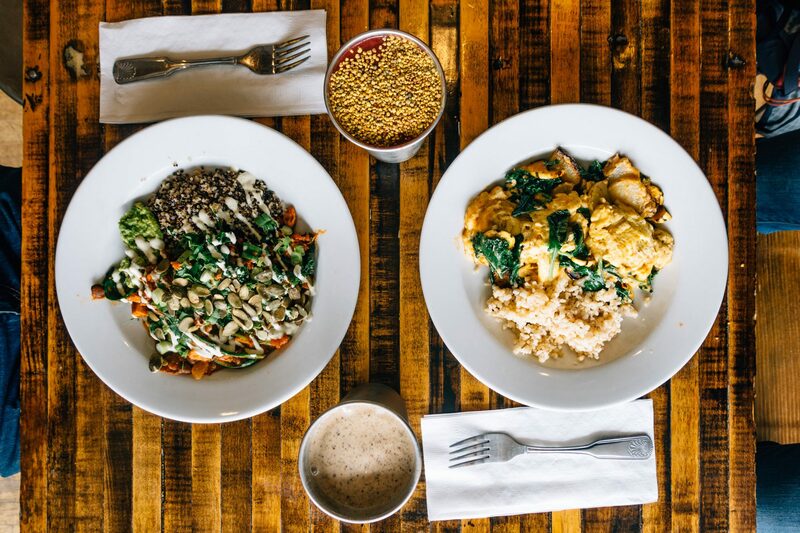 Harlow is the gold standard in places to get yummy, wholesome-tasting food. 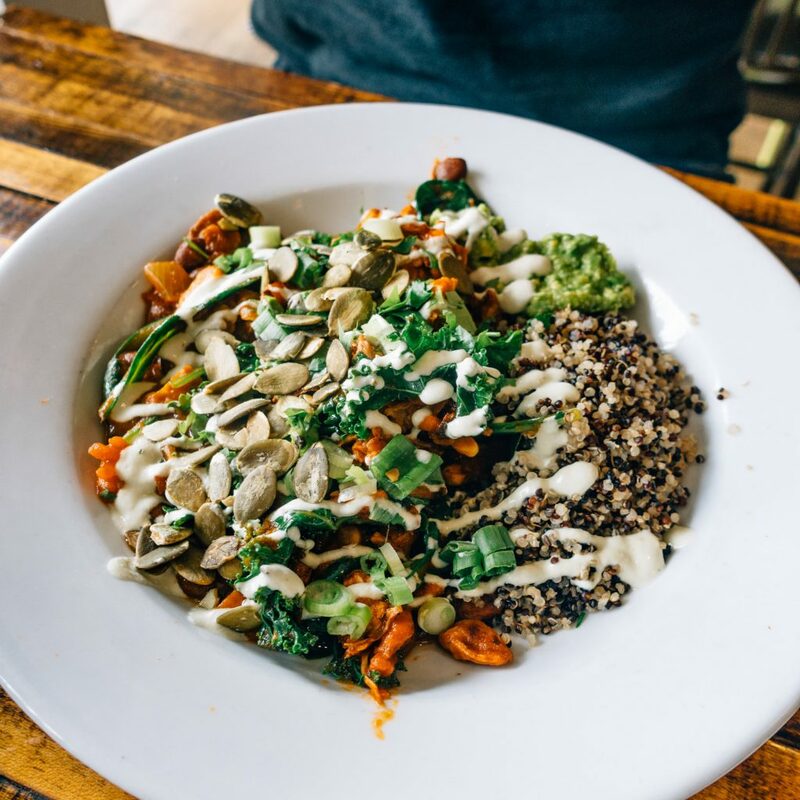 This gluten-free, organic, and vegan-friendly restaurant serves up tasty, memorable dishes that make you feel like you are doing right for your body. 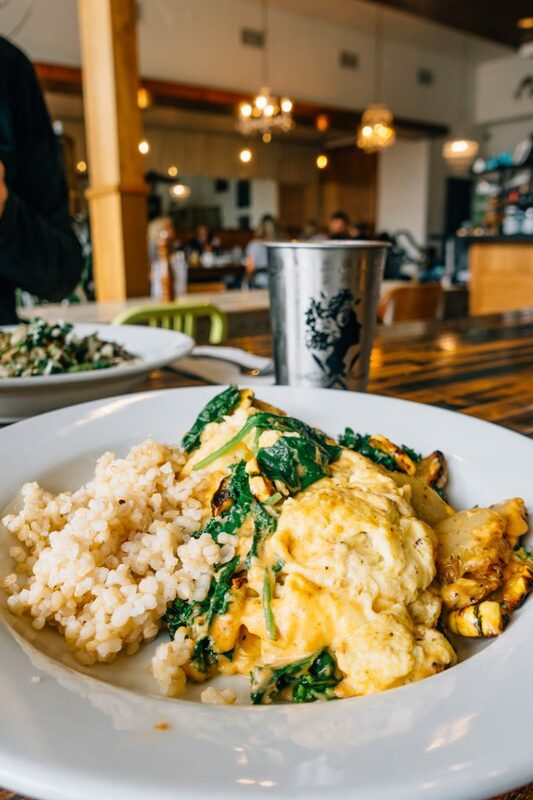 I absolutely fell in love with their breakfast, where the menu includes highly customizable dishes like the Outlaw Scramble ($11), where you can choose from farm fresh eggs, smokey tempeh, or seasoned jackfruit as your protein source, and simple, but delicious bowls like the Mighty Bowl ($7) – a rice or quinoa-based dish served with steamed greens and beans with your choice of one of six different appetizing sauces (I really enjoyed the Avocado Cilantro with my bowl). 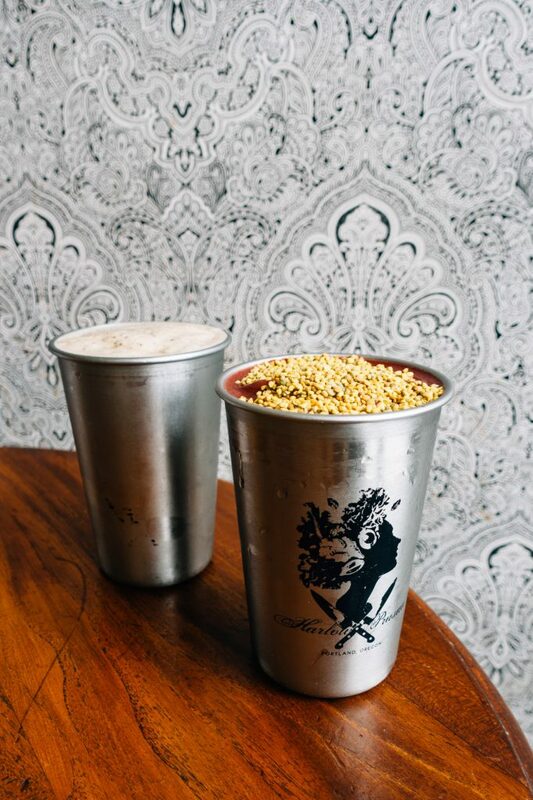 They also have some killer smoothies which are made with your choice of a walnut or rice milk. I tried the Pink Flamango ($6.50) made with strawberry, mango, and banana and the Super Berry ($8) made with strawberry, marionberry, banana, bee pollen, hemp seeds, and epic protein, both excellent. 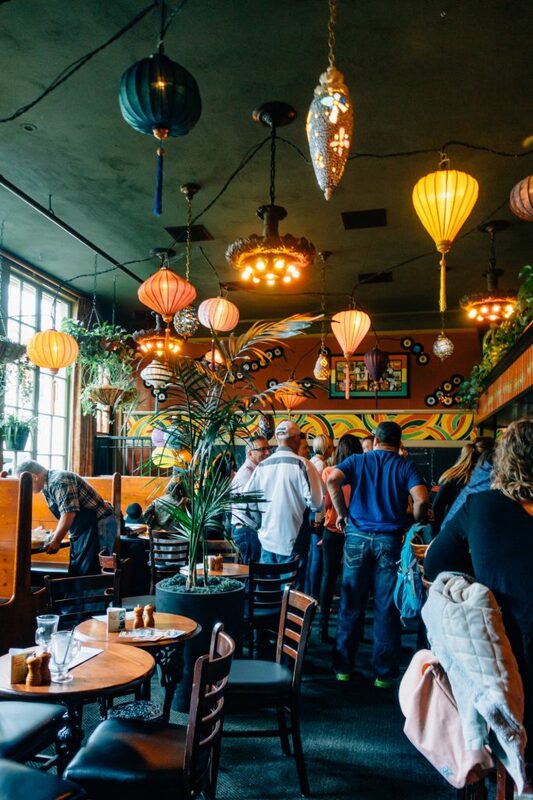 On top of all the excellent food options, the restaurant is absolutely adorable – with one wall covered with a pretty black and white paisley wallpaper, loads of natural light, and green plants decorating the space. 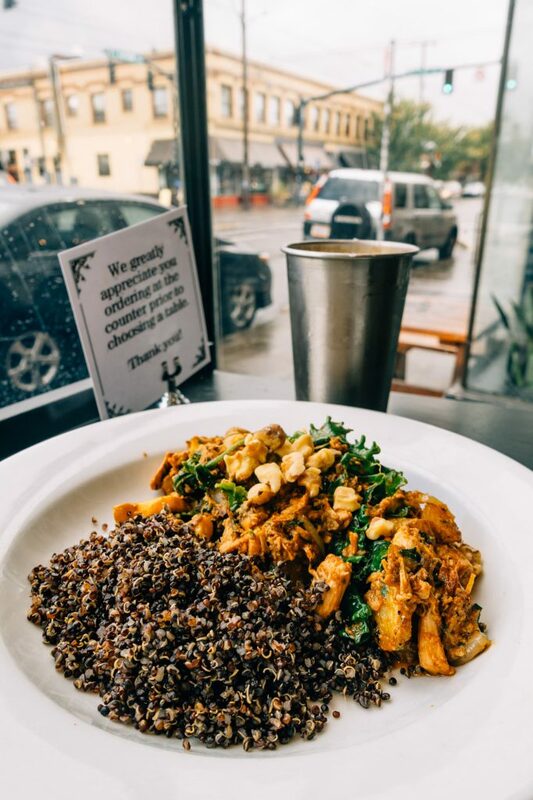 There are large communal seating tables as well as smaller tables for groups of 2-4, and all seating is first-come-first-serve once you’ve placed your order. Although the restaurant can get quite busy, we didn’t have any trouble finding a spot for the two of us. The restaurant is also family-friendly – we saw lots of couples and friends out with little kids. I’ve been to Afuri a couple of times during my trips to Japan over the years so I was excited to stumble upon one of only two locations they’ve built outside of Japan, both of which reside in the Portland area. 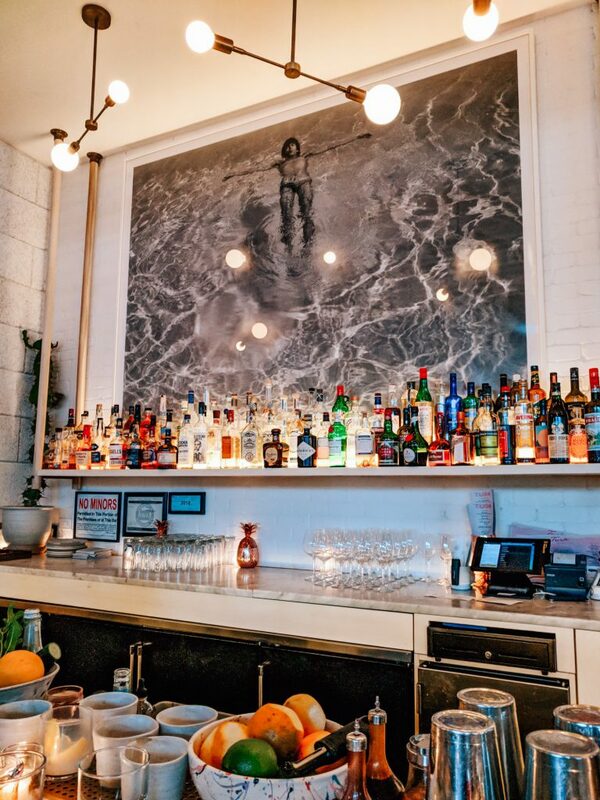 The restaurant space is enormous, with plenty of tables and bar seating around the open kitchen as well as additional seating around the front bar area. 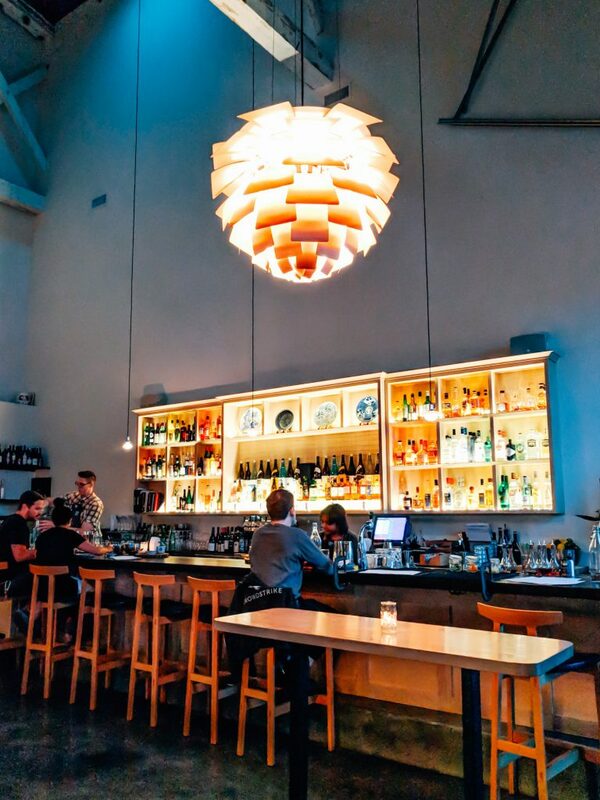 Unlike the tiny Afuri restaurants I’ve been to in Japan where the focus is singularly on the ramen, the Portland Afuri features an extensive menu of appetizers, sushi, and cocktails. We were starving, so we ordered a number of the excellent starters offered. Loved the Karaage ($9), a finger-licking good fried chicken dish served with a yuzu kosho egg salad. 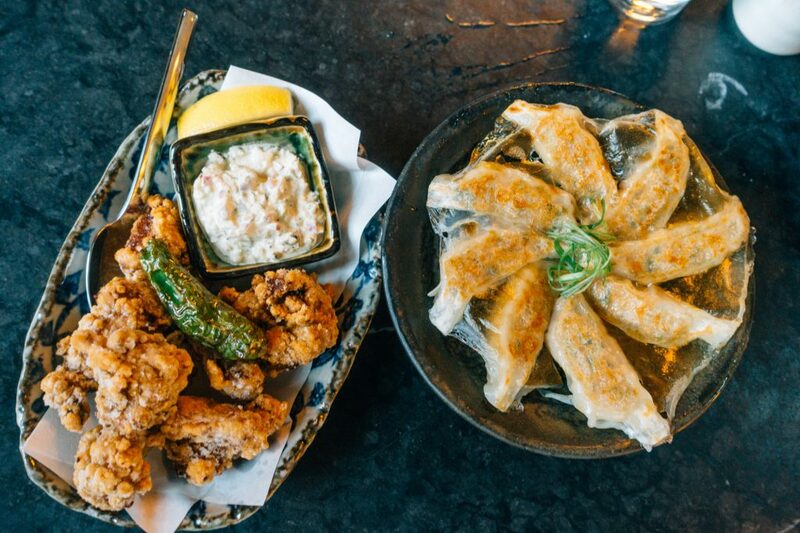 Also very good were the beautiful Housemade Gyoza Dumplings ($10) which were delicately pan-fried pockets filled with pork, chives, and garlic and the Ebi-Kani Croquette ($12) stuffed with crab and shrimp, drizzled with eel and spicy mayo sauces. I’m a big fan of the Yuzu Shio ramen ($14) that Afuri is famous for. It has a chicken broth base with a refreshing hint of the tart citrus flavor of yuzu. 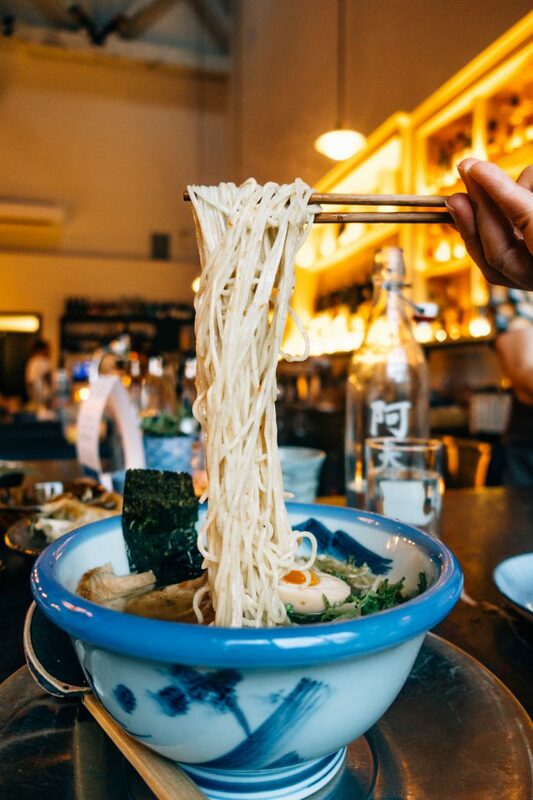 It’s the perfect type of ramen to eat when you want a warm bowl of noodles but don’t feel like downing a bunch of heavy broth. 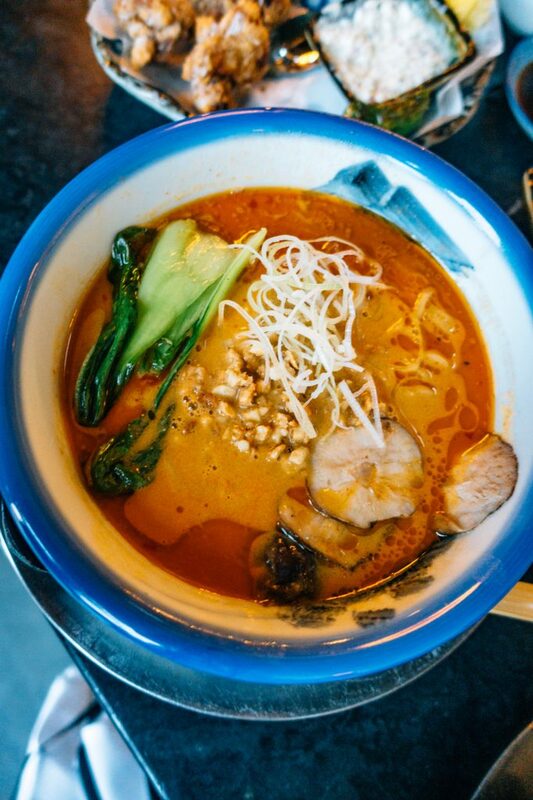 My husband very much liked his Hazelnut Tantanmen ramen ($14) which features a unique hazelnut broth and is vegetarian-friendly with its miso cashew crumbles. 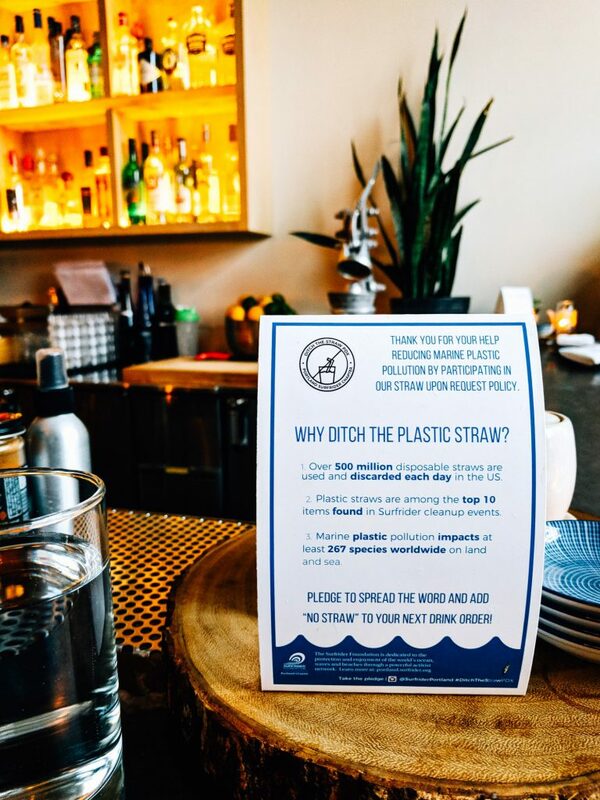 I also love that there was a no plastic straw policy at this restaurant! I’ve been trying to ask restaurants not to give me straws when possible, so love to see that this place is just avoiding using them altogether. I had no idea before dining at Tusk that it was somewhat infamously known for its Instagram-worthy plating. 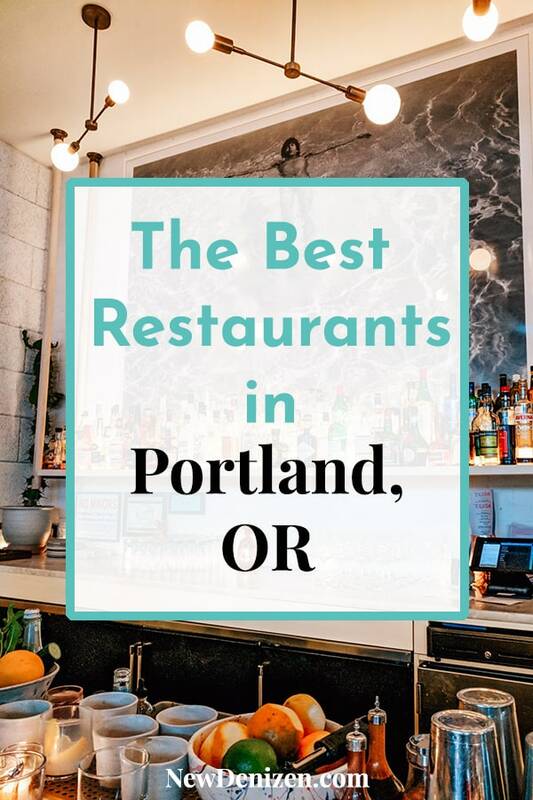 We had driven by the restaurant several times in our days in Portland and for our last meal, I was looking for a place close to where we were staying and it looked pretty from the outside and had good reviews on Yelp. Little did I know that even though it opened in 2016, it still remains a hot ticket restaurant in town, and for that reason, I recommend making a reservation ahead of time. Although there is sometimes a significant wait for walk-ins, we were lucky that some people didn’t show up for their reservations and after maybe 15 minutes of waiting, we were seated at the bar. I’ll eternally be grateful to those people who failed to show up for their seating because the meal we had at Tusk was spectacular. 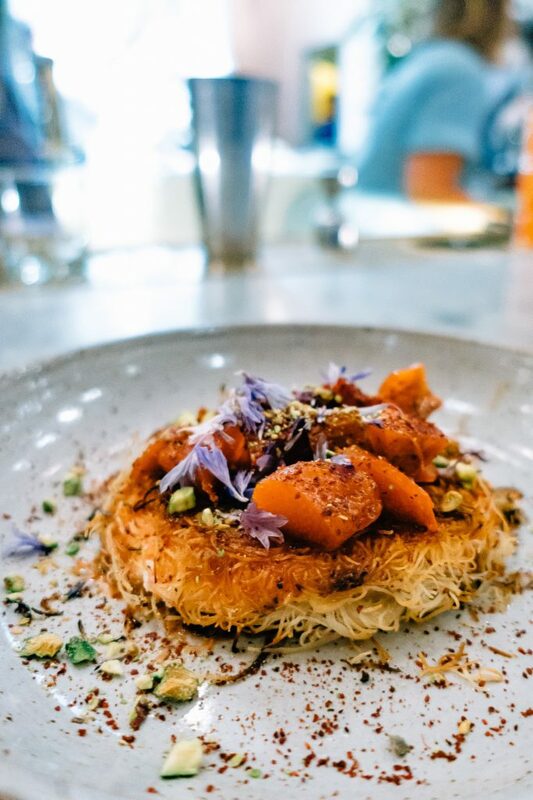 The menu focuses on Middle Eastern food with a “highly seasonal” bent. Everything I had was not only gorgeous to look at but was also a delight to eat. The Tusk Hummus ($10/18) was a spectacular mix of zolfino beans, fennel, and saffron. The Snap Peas salad ($12) was a bright mix of zucchini, fava beans, honey vinegar, and almonds and the Baked Cheese dish ($9/16) was a halloumi dish with spicy tomato and nigella seeds. The Halibut ($28) was perfectly cooked. I would highly recommend saving plenty of room for their incredibly creative dessert. It was probably the most memorable part of the meal. The Strawberry Rhubarb Kanafeh ($9) was unbelievable! On the surface, a dessert made of cheese and phyllo doesn’t sound like it will work, but it absolutely does. 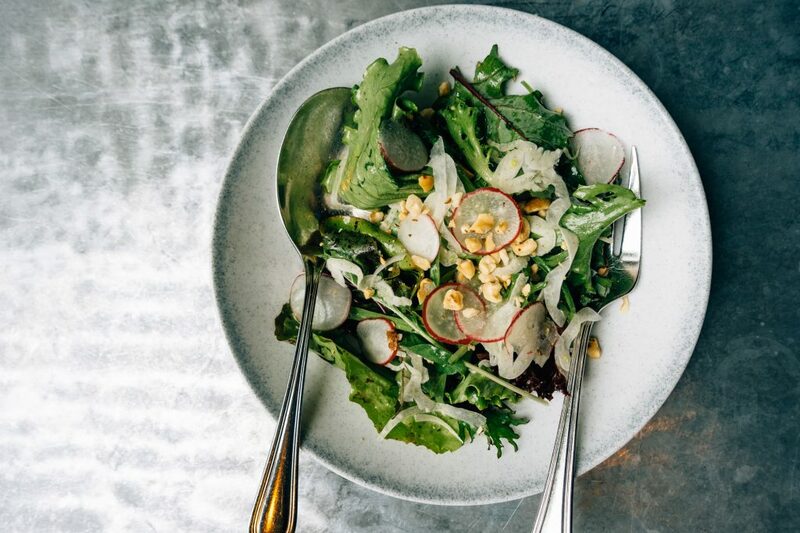 It’s the perfect mix of sweet and savory and it’s absolutely divine. My husband said it may have been his most favorite dessert ever. 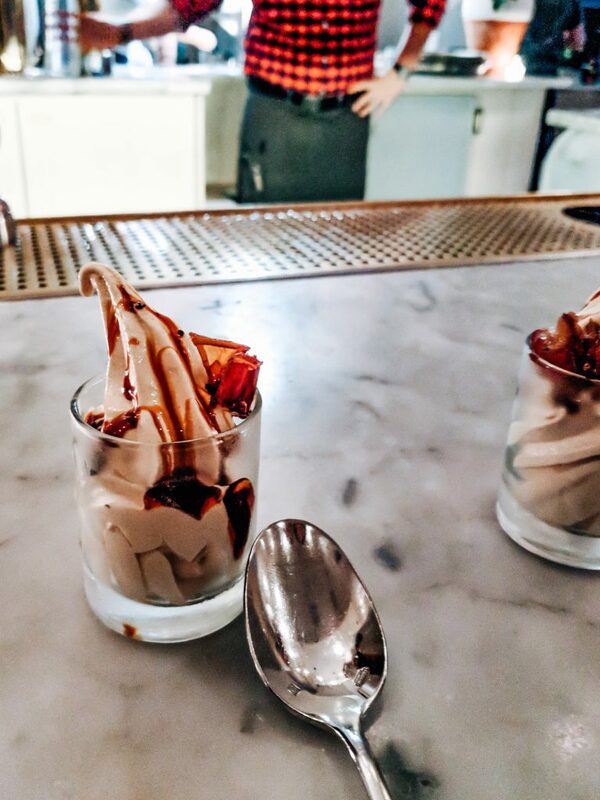 We also were treated to a taste of the amazing Date Soft Serve ($8) – utter ice cream heaven! I would definitely come back just to order these amazing sweets. Really liked my stop into Pine Street Market, a collection of great food stalls. It was a cold and rainy day so I decided to go for another Japanese chain import, Marukin Ramen. 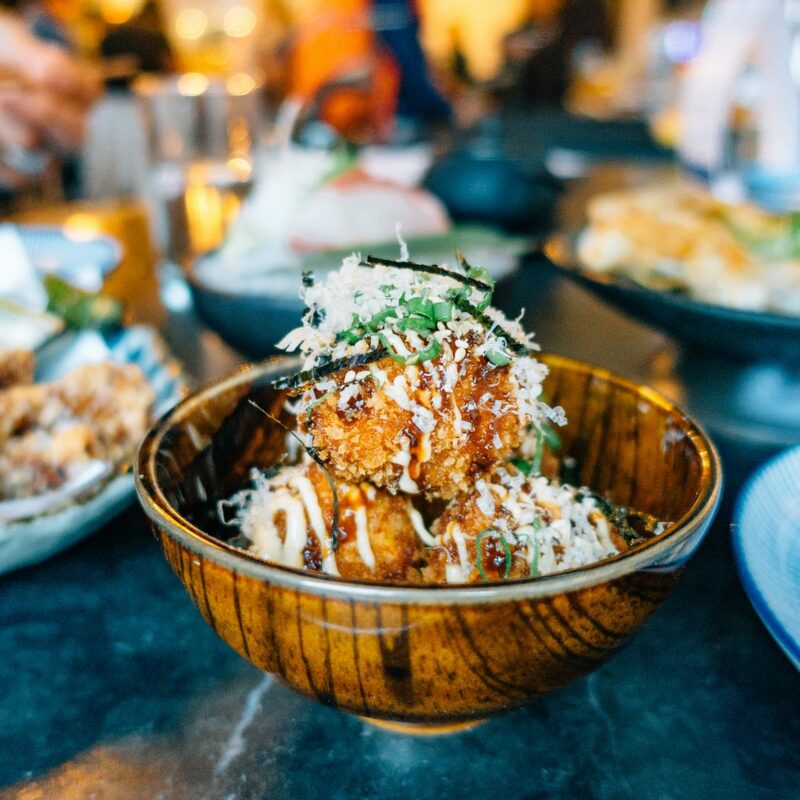 The first US location of Marukin is led by head chef Mayumi Hijikata. 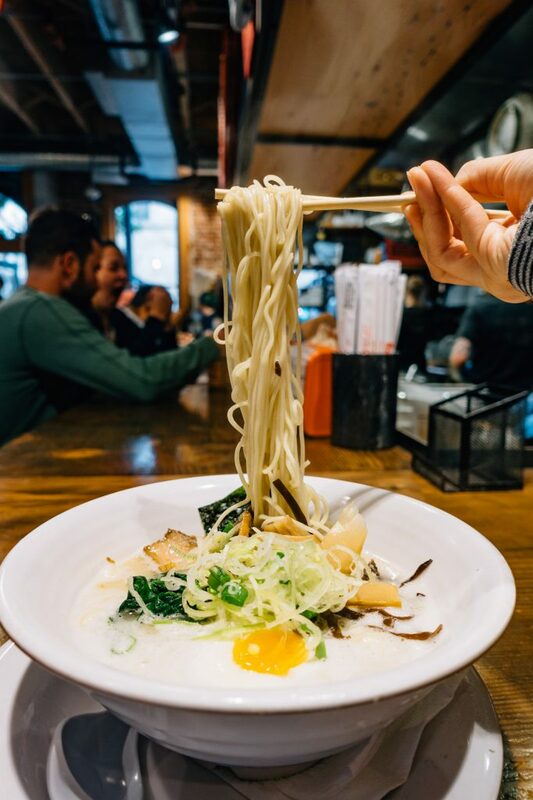 I was so excited to be there on a day they were offering the Paitan Shio (Tues/Thurs/Sat) made with a rich chicken broth and topped with chashu park, spinach, kikurage mushrooms, bamboo shoots, and a soft boiled egg. It was a creamier version than Afuri’s but very yummy. The ramen was delivered very quickly and was the perfect amount of food for two people for a mid-afternoon snack. 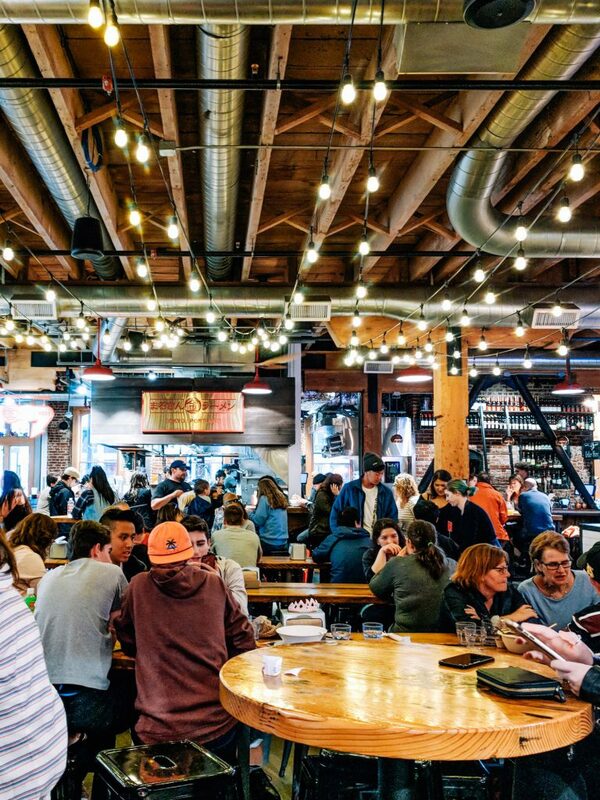 But Marukin Ramen is just one of a number of quality food concepts in the space – also in the Pine Street Market is WizBangBar, Salt & Straw’s sit down soft serve dessert bar, Spanish tapas bar Pollo Bravo, and Kim Jong Smokehouse, which puts a southern BBQ spin to Korean food. 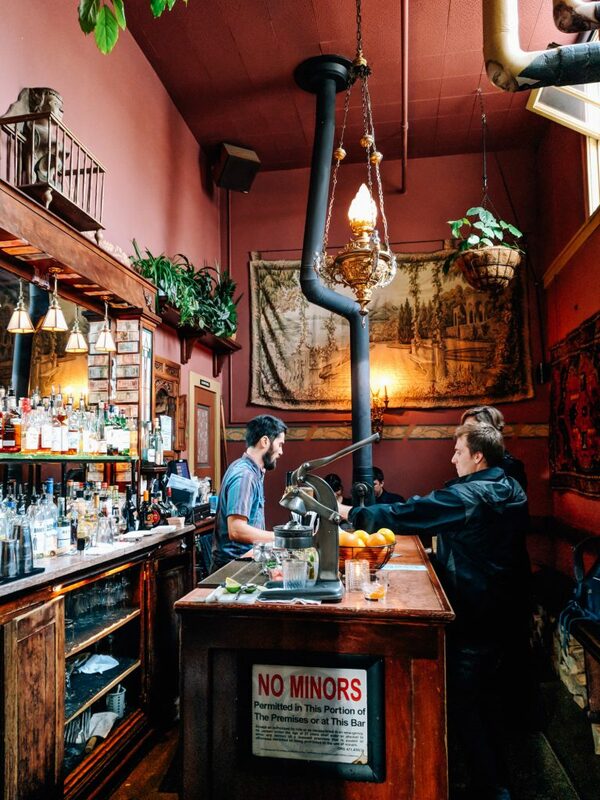 I was told I couldn’t leave Portland without going to at least one of the McMenamin brother’s establishments. 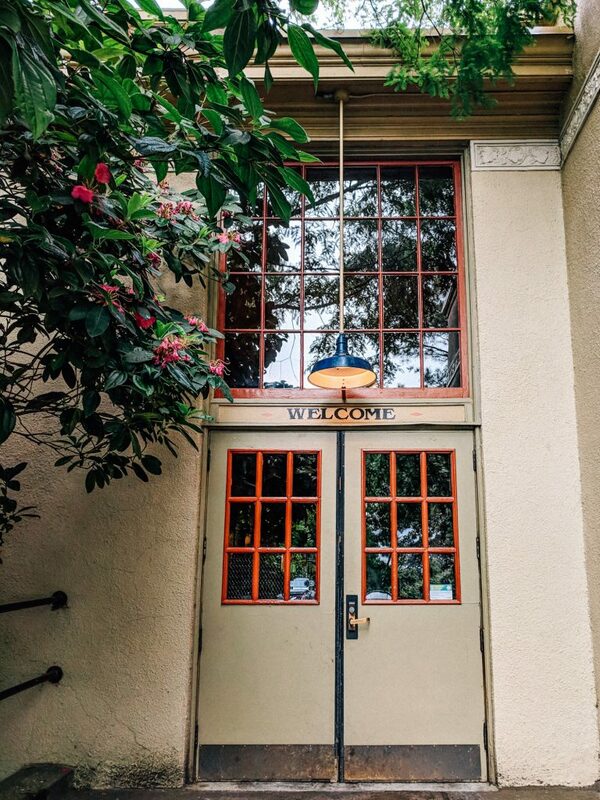 Based on the effusive descriptions on Yelp, I decided to visit the Kennedy School in Northeast Portland. I feel like I definitely made the right choice. The Kennedy School is amazing! 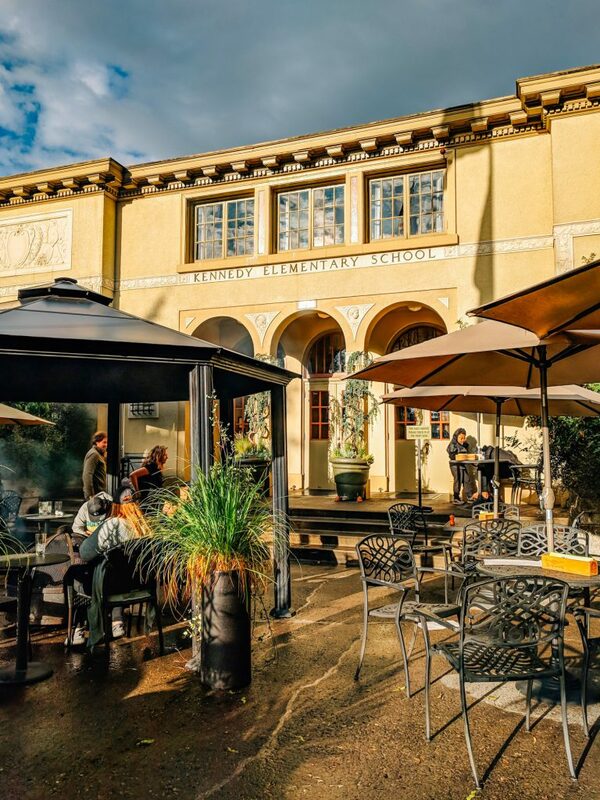 The McMenamins took over an old elementary school and turned it into a hotel with a movie theater (that show second-run films for super cheap! ), several restaurants and bars. It’s a completely immersive experience – like if Sleep No More was a family-friendly space. 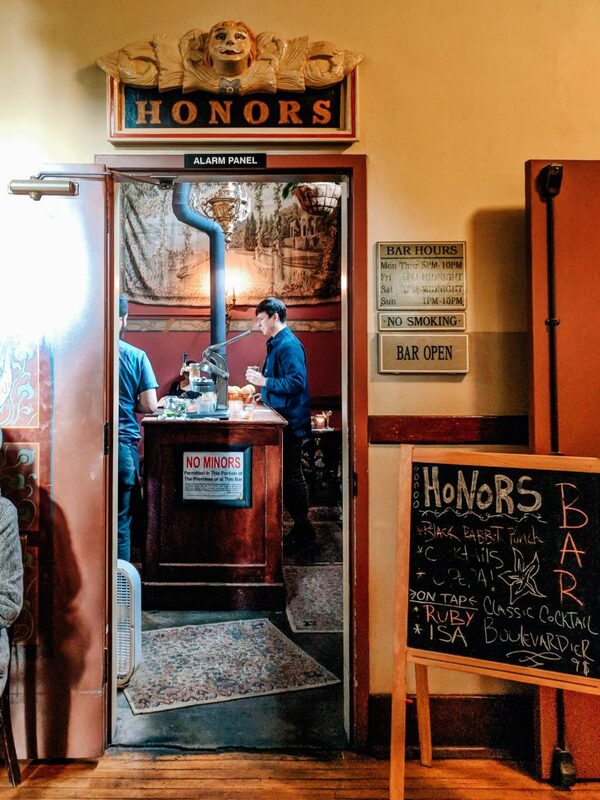 It was such fun walking through the school’s hallways and stumbling upon a bar that was created in the old Detention Room and Honors Room, taking a look at the super cool pipe-based artwork created for the Boiler Room restaurant and bar, and getting a mini-tour of the in-house brewery. The entire school has an open liquor license so you are free to roam around the school hallways with your drink in hand! Even if you don’t end up eating or having a drink at the School, it’s definitely worth a stop to marvel at the amazing care and detail that went into restoring and reusing this space! 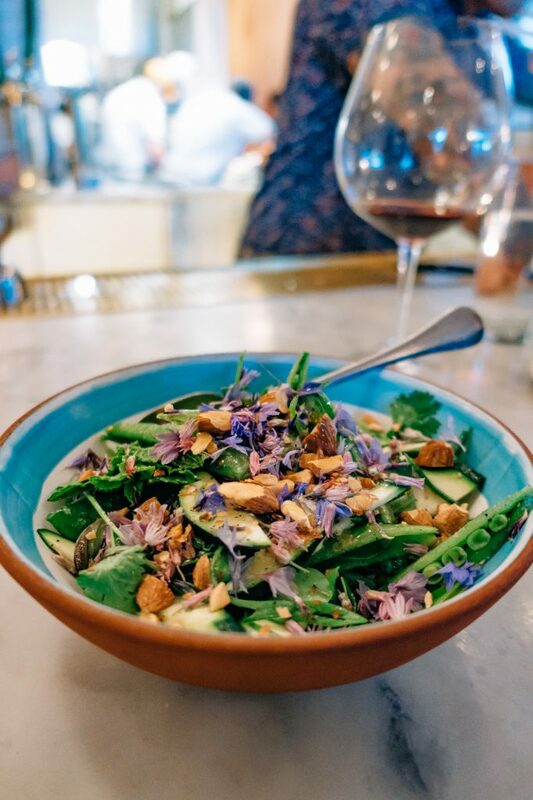 We were looking for a place to do an early dinner in downtown Portland and Yelp led me to the highly rated Tasty n Alder. 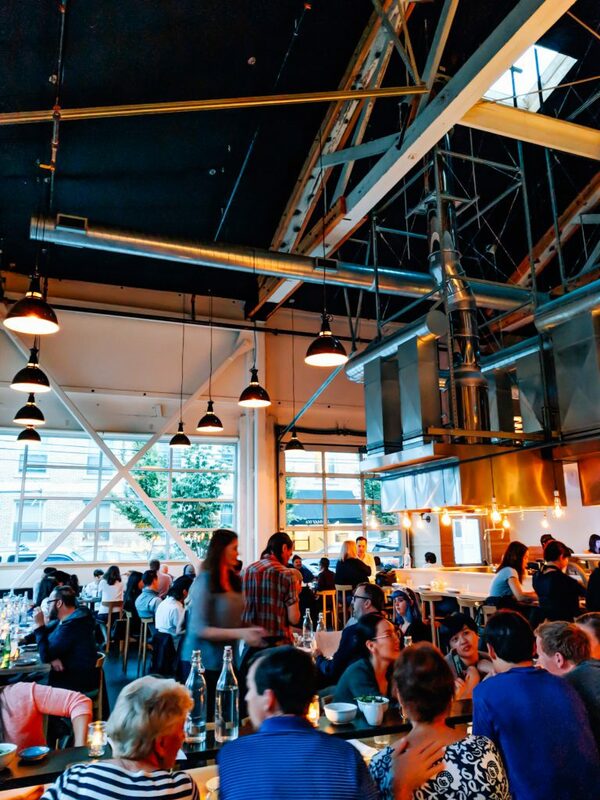 One of the many restaurants that make up restauranteur John Gorham’s Portland empire, Tasty n Alder boasts a modern steakhouse vibe. 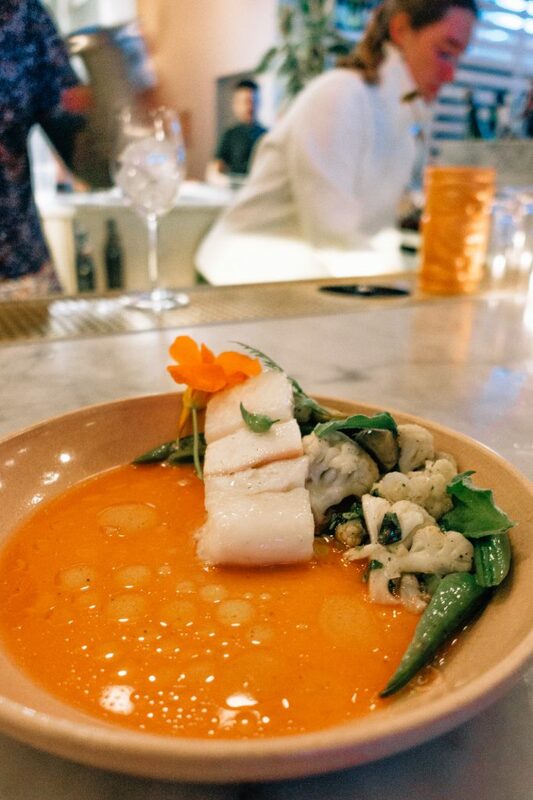 The restaurant doesn’t take dinner reservations for parties less than 7 people, so you need to get there early to put your name on the list for dinner service that starts at 5:30pm. We didn’t realize this before going, so when we got there at 5:15pm, we were too late to make it in the first seating, so we had to wait a while for a table to open up at the bar. 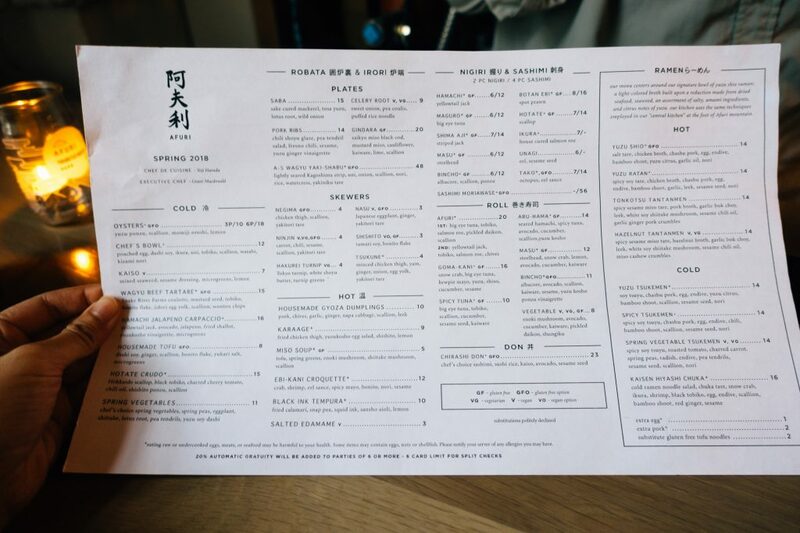 Since we wanted a mainly vegetarian meal, we ended up ordering a lot of items from the “Beginnings” and “Garden” sections of the menu. 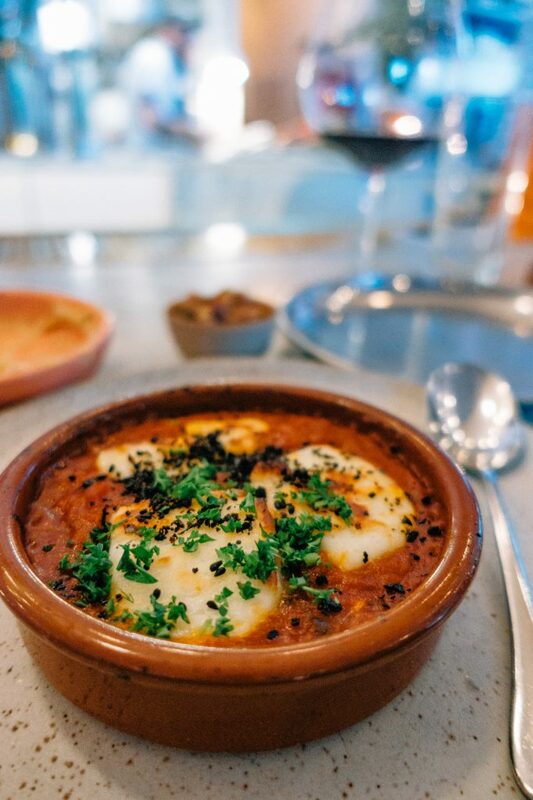 Out of all the things we ordered, my favorites were probably the Goat Cheese Dumplings Arrabiata ($18). 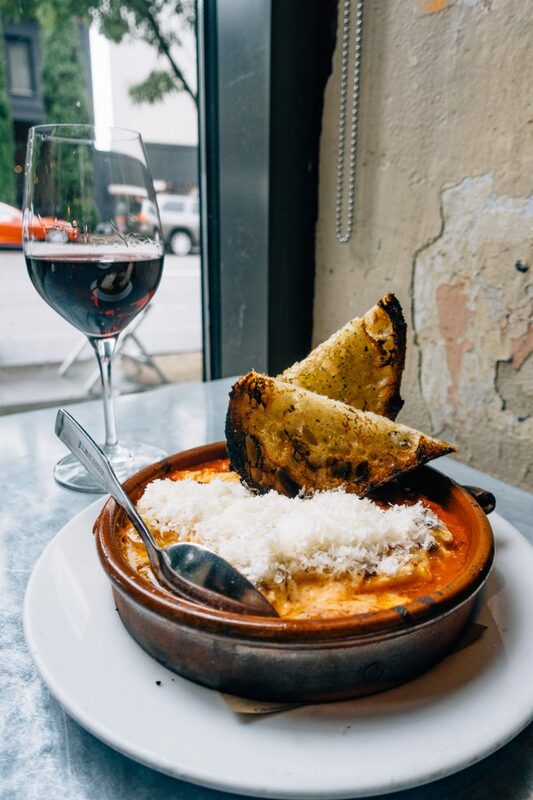 Since the dumplings are stewed in a generous helping of the arrabiata sauce, the Portland Creamery goat cheese does not come off sharp at all. It’s a pretty hearty dish and super comforting. 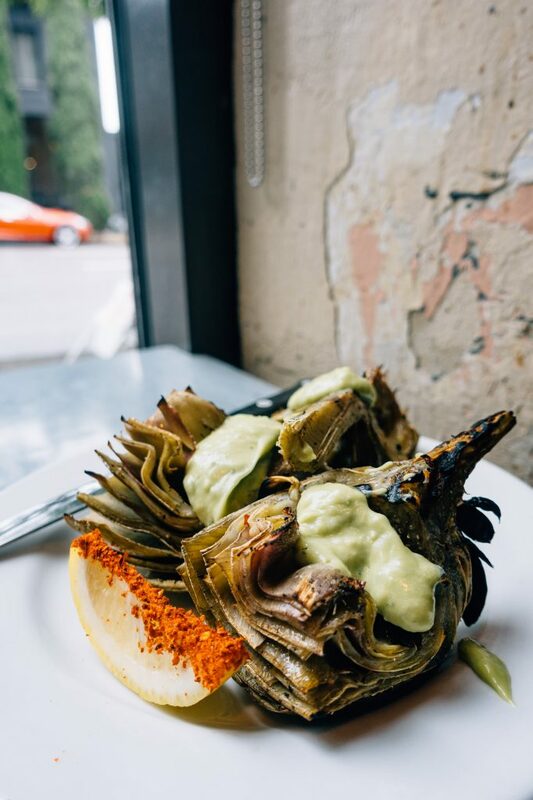 The Grilled Artichoke with avocado aioli ($9) was also good, especially the pieces that got a healthy dose of lemon juice on them. 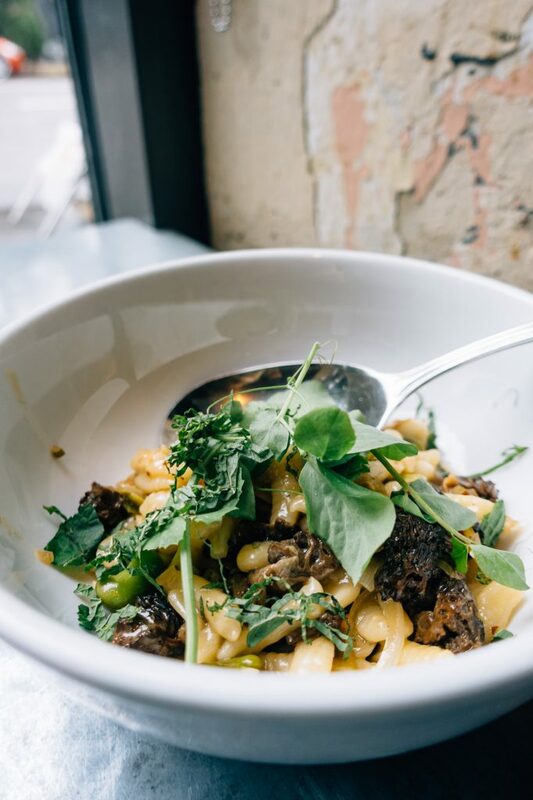 I also really enjoyed the House Made Pasta which was a cavatelli with cold smoked morels, spring onions, and fava beans even though it was a bit on the pricey side at $19. Other items we had were the Blue Raven Greens salad with a citronette, fennel, and toasted hazelnuts ($7/12), the Mustard Greens ($9), which does feature a meat element – a lamb merguez sprinkled on top, and we finished off with a seafood dish – the Seared Scallops ($25) served with a green romesco.